A cat owner was unable to sleep for three nights after her pet was burned alive, in acts a judge has called "extremely depraved". Hayden Growcott, 22, was sentenced in Greymouth District Court (New Zealand) for five years and two months on two animal cruelty charges and a raft of drug-related charges. The animal cruelty charges related to incidents earlier this year where the Growcott had beaten one cat to death in January with a tomahawk. He then cut the cat's paw off and hung it in the garage as a "memento". In May, he caught a neighbourhood cat called Midnight. With the cat in a cage, Growcott used petrol and set the animal on fire. He filmed the burning cat on his cellphone. The court totally described the acts as sadistic and depraved. Paw Justice co-founder Craig Dunn travelled from Auckland to be with Midnight's owners and watch the court proceedings. He said he had hoped for a longer sentence "given the nature of the sadistic treatment Midnight was put through". 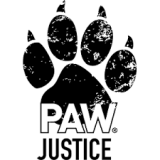 The maximum sentence for animal cruelty charges as set out in New Zealand's Animal Welfare Act 1999 has been raised from three to five years, following lobbying by Paw Justice. After Midnight was found, Paw Justice offered a $2000 reward for information leading to the offender. Dunn said the cheque had been written today for the person who led to Growcott's arrest. That money was raised from donations to Paw Justice.